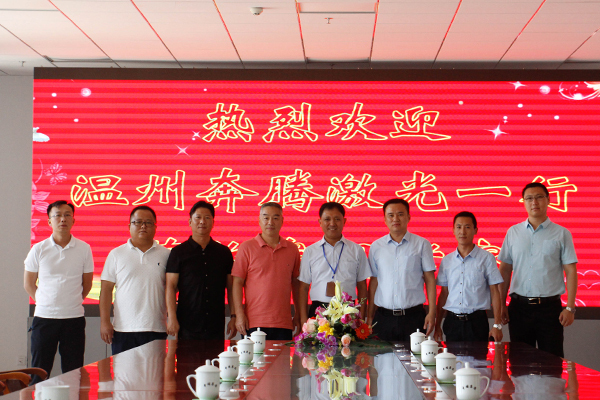 On the morning of June 22nd, Wenzhou Pentium Laser Chen Chen and Kaohsiung Taiwan’s Yang and his party led by the core team leader of the Party Construction Studio and the head of the investment promotion department of Binhe Science and Technology Park, Xie Hualiang, visited the China E-Commerce Industrial Park. China Transport Deputy General Manager Li Zhenbo, Deputy General Manager Fan Peigong， China Transport Party Committee Deputy Secretary Guan Chenghui, Office Director Zhu Kun accompanied the reception. 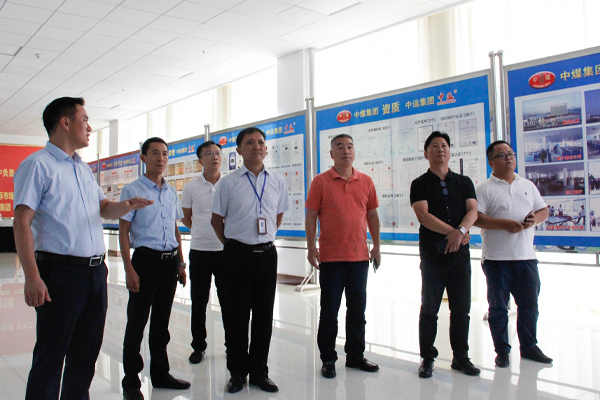 Mr. Chen and Mr. Yang visited China National Coal Corporation Cultural Exhibition Hall, Smart Equipment Exhibition Hall, E-commerce Company, Cross-border E-Commerce Company, Network Information Company, and Software Technology Company. During the visit, Mr. Li introduced the China Transport in detail. The development achievements in e-commerce, cross-border e-commerce, software R&D, and smart equipment manufacturing, and focused on the successful experience of the Group in e-commerce platform construction and product export. 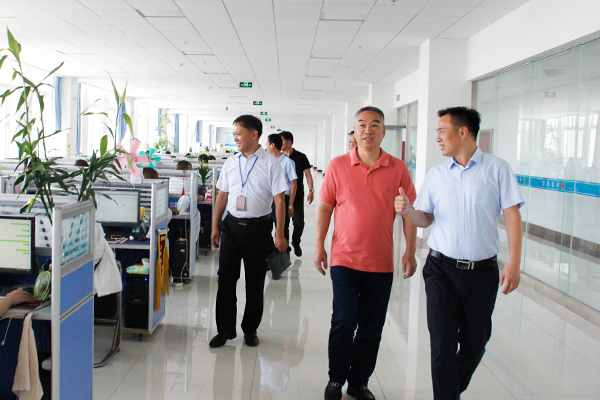 In recent years, Shandong China Transport has actively responded to national policies and vigorously promoted the integration of manufacturing and the Internet to innovate and develop. It has independently developed and operated billions of mines, China's logistics and Internet of things, China Agricultural Science and Technology Network, China's vehicle and ship trading network, Haitao.com, Yiyou.com's six e-commerce comprehensive service platforms, among which Yimin.com has been awarded the National Ministry of Industry and Information Technology Pilot Project for Cross-border E-Commerce Integration Innovation, the Ministry of Industry and Information Technology's Cross-Border E-Commerce E-commerce Key Support Project, and the China National Integration Innovation Practice Award, Shandong The provincial key e-commerce platform, Shandong Province, the industry e-commerce demonstration platform and many other honors, to promote the country's industrial electricity supplier innovation and development has made outstanding contributions! At the symposium, Mr. Chen spoke highly of the improved e-commerce sales model of our group. He said that China Coal has a strong e-commerce sales platform and has rich experience in the development of e-commerce in enterprises. It is worth learning from us and hopes to have the opportunity to strengthen in-depth cooperation with China Transport in the field of e-commerce platforms and give full play to both parties in their respective fields. The advantages, through the sharing of resources, strong alliances, and better achieve a win-win situation for enterprise development! 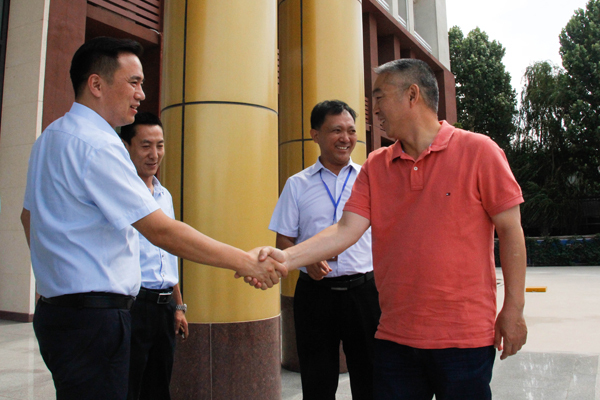 General Manager Li expressed his gratitude to Mr. Chen and Mr. Yang for the high recognition of the development achievements of China Transport. We are very willing to unite with more industrial manufacturing companies to jointly explore a new path for the development of e-commerce in the era of Internet+ and expand cooperation channels. Enhance the cooperation level, produce more high-quality, high-tech products, and make more positive contributions to the transformation and development of industrial enterprises across the country! After the discussion, Chen and his party visited Xie Hualiang’s party building studio. Xie Hualiang gifted the Taiwanese merchants with an anthology of Chairman Xi and took a group photo. Next: China Transport Billion Mine Network As The New Information Consumption Demonstration Project Of The Ministry Of Industry And Information Technology Was Reported By The District Newspaper "Liaohe First Sound"